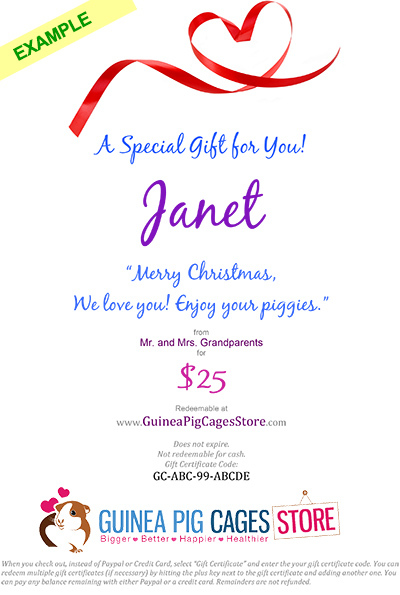 $25 Gift Certificate for the Guinea Pig Cages Store. We will deliver the gift certificate on your behalf via email upon purchase. The recipient of the gift certificate will see your gift note, the dollar amount, and simple instructions to redeem it. Please remind the recipient to check their spam folder to make sure your gift does not get lost. (emailed to them right away).